Founders of the New Romantic movement in the 1980s, Visage, fronted by the enigmatic Steve Strange, were one of a number of bands who grew to prominence at London’s notorious Blitz Club – known as ‘the cradle of the New Romantic movement’. Following a long hiatus, ended last year by their first album in almost 30 years, Visage are back once again with a new album this winter. A spin on the traditional ‘Greatest Hits’ album, the new LP ‘Orchestral’ sees the band performing new versions of their most loved songs backed by the likes of the Prague Philharmonic Orchestra, the Czech Synthosynphonica Orchestra and others. The incredible new arrangements, adding in layers of strings, woodwind, brass and percussion to give these great tracks a fresh spin, include a 7 minute orchestral version of breakthrough hit ‘Fade To Grey’ set to be the lead single. The idea for the album was inspired by an invitation to play alongside Czech Synthosynphonica Orchestra to close the World Ski Jumping Championships in March 2014. The success of that show and the new sound they created led Steve Strange and the rest of the band to pursue it further. The result is the album ‘Orchestral’ – set for release this winter. ‘Orchestral follows the success of the 4th Visage album, ‘Hearts & Knives’, released in 2013. Following five singles from the album, the band has soared back into the public consciousness with gigs around the world, taking their sound out of the studio and onto the stage for the first time. Reaction to their live show has been phenomenal, and the band have no plans to stop what they’ve started. 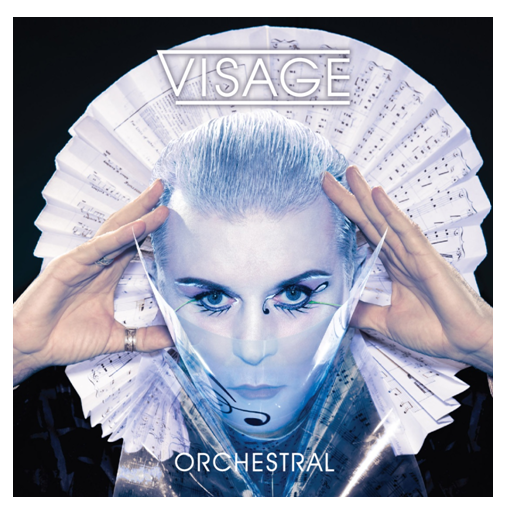 And with work now beginning on a follow up album of original songs, ‘Orchestral’ is a chance to first look back on some of Visage’s greatest tracks as you’ve never heard them before.